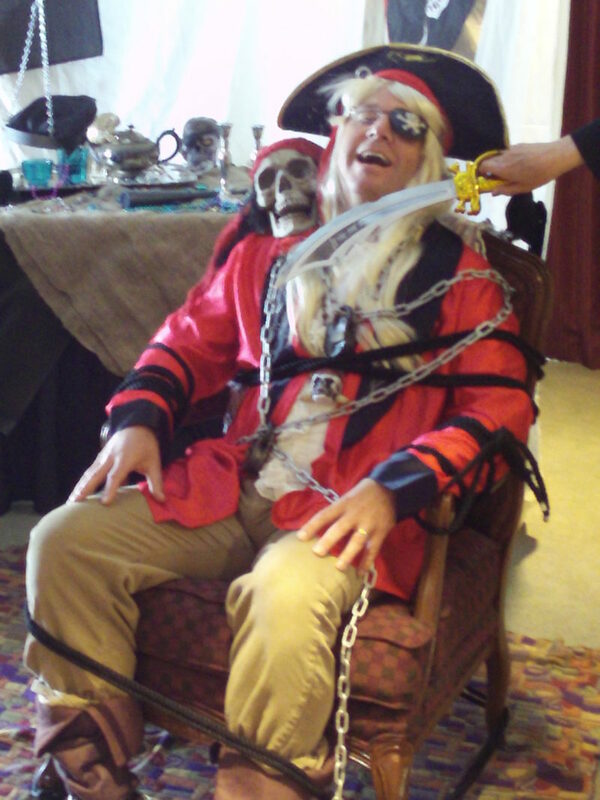 Your own leader is kidnapped by a roving band of scurvy pirates! 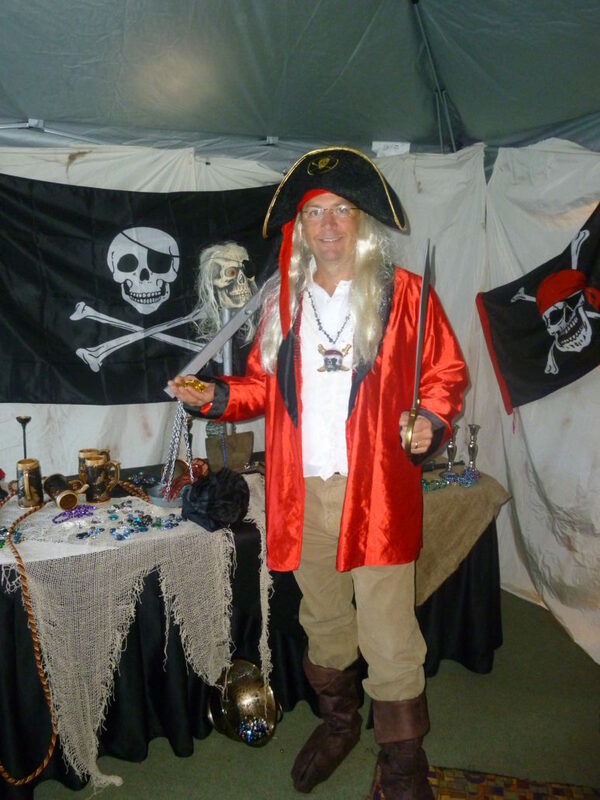 The only way to guarantee their safe return is to navigate uncharted territory using the tattered treasure map and engaging these pirates in a series of nautical challenges. 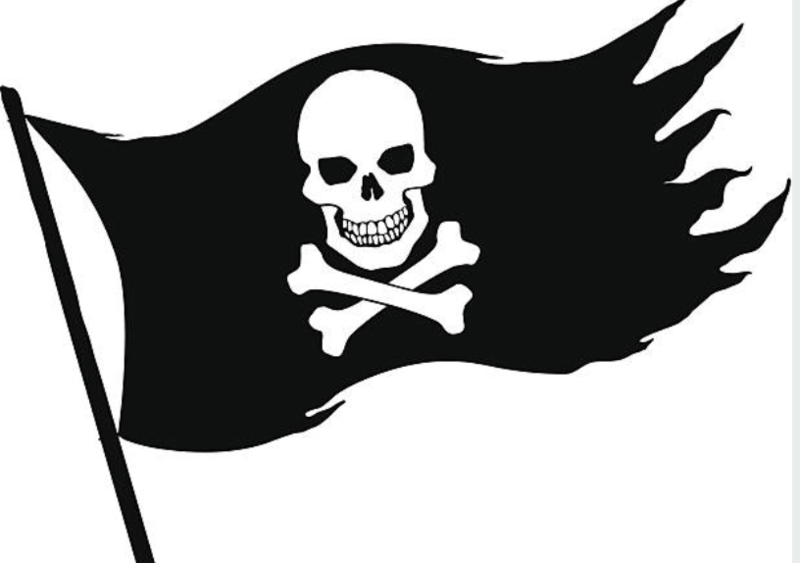 Success means the acquisition of coveted pieces of eight, which in enough quantity, will satisfy the pirates’ lust for treasure and tip the scales in favor of your leader’s safe return. 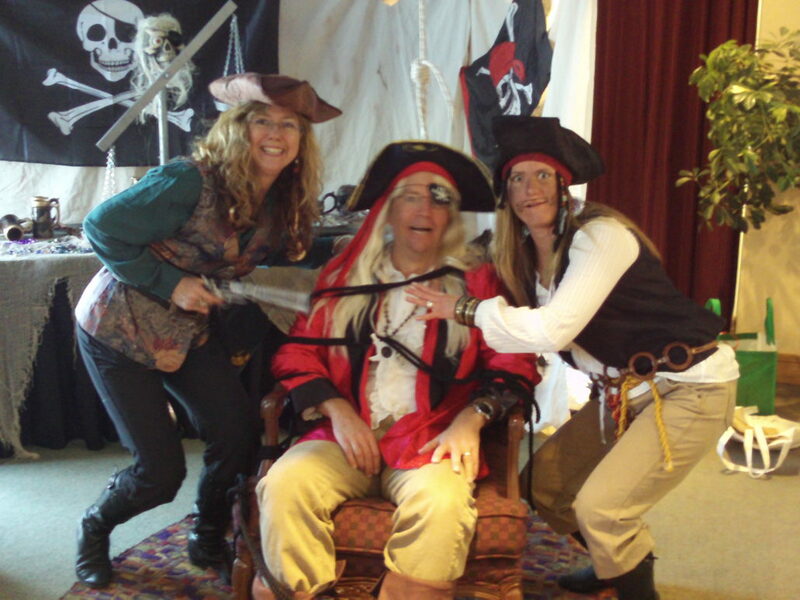 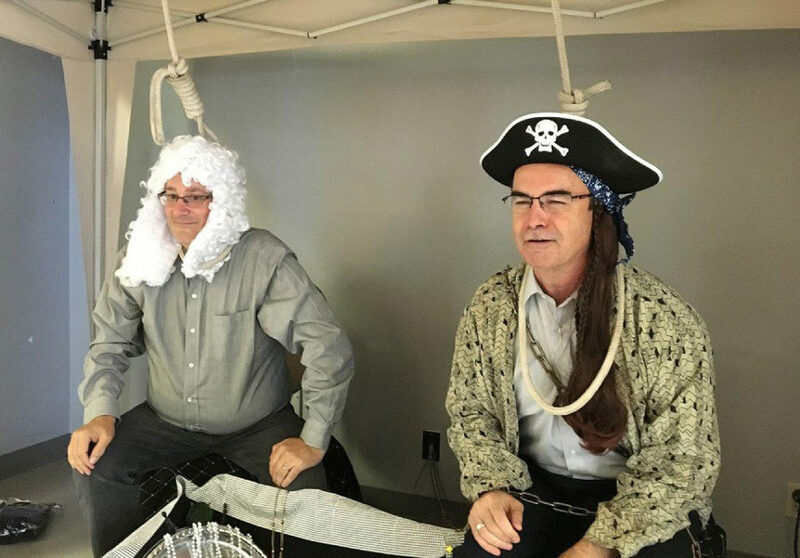 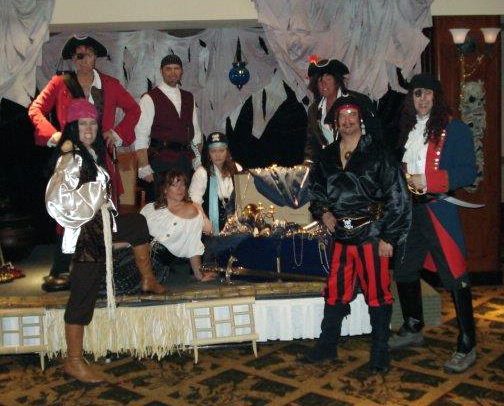 Easily modified to accommodate groups of 20 to 200, activities and challenges range from “pirate vocabulary” and “Pirates of the Caribbean trivia” to blindfold walking the plank and a rousing rendition of “liars dice”.